CBSNewYork.com has teamed up with the Mayor’s Alliance for New York City’s Animals to feature a dozen of the top shelters and rescue groups in the city. City Critters is very pleased to be one of the groups included. Check out the entire list of Alliance Participating Organizations here. The Mayor’s Alliance is a 501(c)(3) non-profit charity that works with more than 150 partner rescue groups and shelters to offer important programs and services that save the lives of NYC’s homeless animals, with the goal of transforming New York City into a no-kill community. Losing your pet is a frightening experience, but many lost animals do make it home again — especially when people work together. Microchipping is one of the best ways to increase your pet's chances of getting home if he or she is lost or stolen and winds up at an animal shelter or veterinary office. Dog tags and collars can fall off or be removed. Microchipping is a more permanent way of identifying your dog or cat. You can have your pet microchipped by your vet. The Mayor's Alliance occasionally hosts low-cost microchipping clinics at events during late summer and early fall where you can have your pets microchipped for only $25 each. $5 spay/neuter, rabies and distemper vaccination, nail trim, e-collar, and microchip on a mobile clinic in all five boroughs with proof of public assistance. The cost is $125 per animal if you are not on public assistance. Call 877-SPAY-NYC (877-772-9692) for more information. Neuter is free for male cats. Spay is free for female cats whose owners receive public assistance (please bring photo ID/proof of public assistance) or $60 for female cats owned by NYC residents not receiving public assistance. For more information, call 212-799-1120 or e-mail The Toby Project. 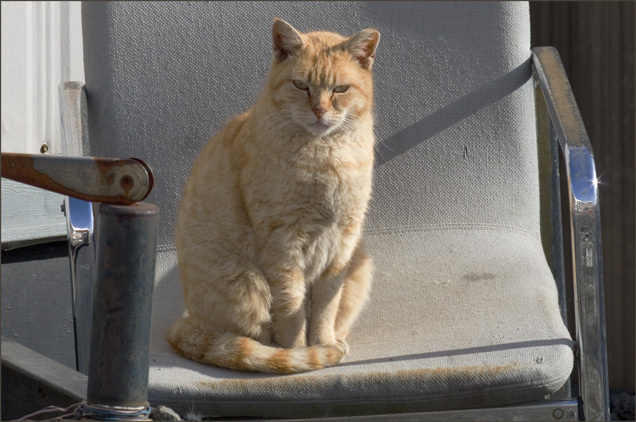 The New York City Feral Cat Initiative is a joint program of the Mayor's Alliance for NYC's Animals and Neighborhood Cats, two private non-profit organizations. Their mission is to solve the feral cat overpopulation crisis in New York City through the humane, non-lethal method of Trap-Neuter-Return, or TNR for short. In neighborhoods throughout New York City, TNR is proving effective in humanely managing feral cat colonies and reducing their numbers over time. The NYC Feral Cat Initiative program provides TNR Caretaker Training Workshops in all five boroughs; hands-on assistance at TNR projects in all boroughs; free TNR equipment loans; public advice by phone and e-mail; feline educational events; and information via e-newsletters and printed materials. Visit The NYC Feral Cat Initiative website to learn about resources available to help street cats in New York City, including free and low-cost feral cat spay/neuter services, proper care of a feral cat colony, bottle-feeding orphaned kittens, socializing feral kittens, laws regarding feral cats, and TNR and adoption options for found tame (friendly) cats and socialized kittens. 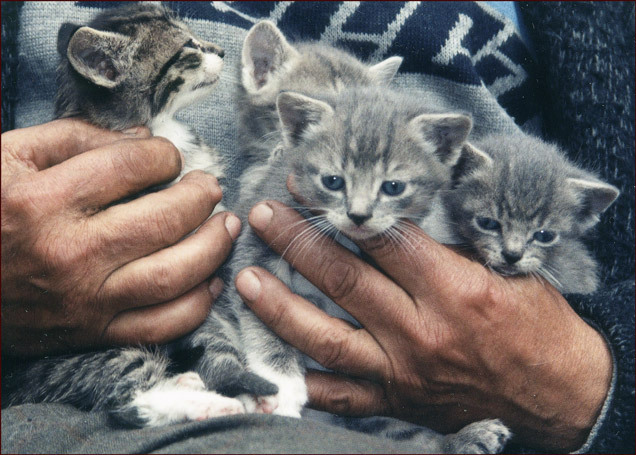 In addition, you can print out a variety of helpful documents or listen to recorded webinars by experienced TNR caretakers on a variety of pertinent topics. 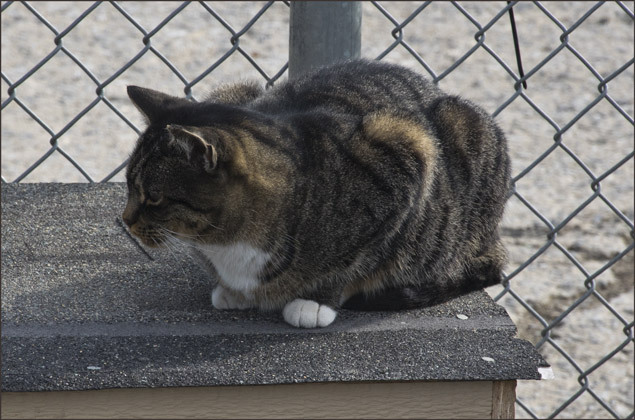 Cats in managed feral colonies (or strays you care for in your own backyard) need warm shelters in winter to keep them healthy and dry. Urban Cat League provides a guide to shelters that you can purchase or build yourself. You'll find shelter info and ideas as well as other winter-caretaking tips. The Toby Project offers free spay/neuter and low-cost vaccines and other treatments in all five boroughs for feral cats. TNR caretakers can call to schedule a spay/neuter clinic. In Bronx, Manhattan, or Queens, e-mail The Toby Project. 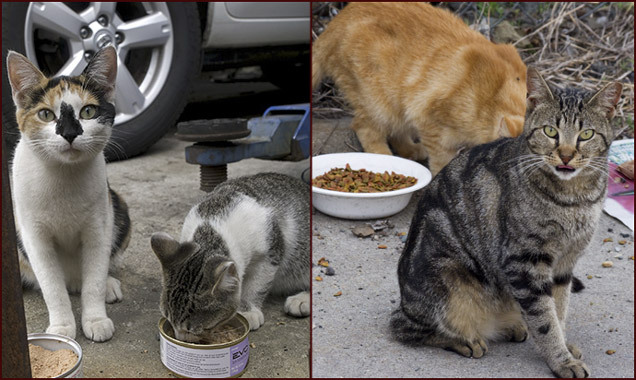 In Brooklyn or Staten Island: Contact Ferals In Peril at 347-816-2899. Many people mistakenly believe that "cats are too smart to fall". But windows without screens pose a real danger to small pets, particularly cats. Unfortunately, this type of accident can be fatal, and has become so prevalent in cities that it's been given the name of "high-rise syndrome". An insect or a bird or other animal viewed from an open window can be distracting enough to cause cats to lose their balance or to leap in pursuit. Cats can easily slip through childproof window guards, so screens are a necessity. During the warmer months, veterinarians at the ASPCA’s Bergh Memorial Animal Hospital see approximately three to five cases a week. Falls can result in shattered jaws, punctured lungs, broken limbs and pelvises—and even death. It's a misconception that cats won't be injured if they fall from a one- or two-story building. Cats may actually be at greater risk than when falling from higher altitudes, as the shorter distance will not give a cat enough time to adjust her body to fall correctly. For more information on high-rise syndrome and other issues affecting animals in New York City, please visit ASPCA online.